1129-1　NAME : 井上　 2017/06/05 04:51:49 NEW! 1129-2　NAME : くろ　2017/06/05 06:02:19 NEW! 1129-3　NAME : 井上　 2017/06/05 07:04:33 NEW! 1129-4　NAME : 管理人　2017/06/05 14:16:28 NEW! 1129-5　NAME : 管理人　2017/06/05 14:23:50 NEW! A critical component of RNP is the ability of the aircraft navigation system to monitor its achieved navigation performance, and to identify for the pilot whether the operational requirement is, or is not being met during an operation . 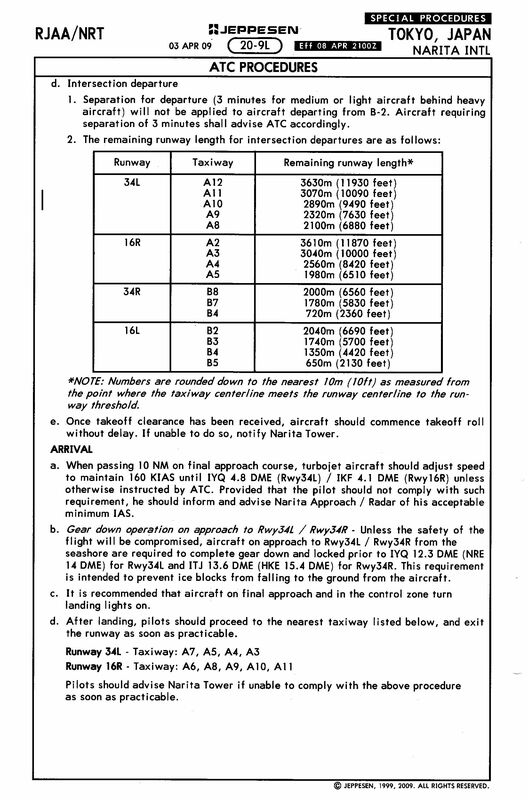 This on−board performance monitor- ing and alerting capability therefore allows a lessened reliance on air traffic control intervention (via radar monitoring, automatic dependent surveillance (ADS), multilateration, communications), and/or route separation to achieve the overall safety of the operation. RNP capability of the aircraft is a major component in determining the separation criteria to ensure that the overall containment of the operation is met. 1129-6　NAME : くろ　2017/06/05 17:32:28 NEW! 1129-7　NAME : 井上　 2017/06/05 22:37:07 NEW! 1129-8　NAME : くろ　2017/06/06 11:40:40 NEW! 1129-9　NAME : 井上　 2017/06/09 00:16:59 NEW! 1129-10　NAME : くろ　2017/06/09 23:18:53 NEW! 1129-11　NAME : 管理人　2017/06/12 01:03:09 NEW! 1129-12　NAME : 井上　 2017/06/13 00:31:50 NEW! 1128-1　NAME : 管理人　2017/05/16 07:50:19 NEW! 1127-1　NAME : 管理人　2017/05/05 03:37:40 NEW! 1127-2　NAME : くろ　2017/05/05 17:19:10 NEW! 1127-3　NAME : 管理人　2017/05/06 13:01:10 NEW! 1127-4　NAME : くろ　2017/05/10 07:17:01 NEW! 1127-5　NAME : 管理人　2017/05/10 08:08:01 NEW! 1127-6　NAME : くろ　2017/05/12 08:17:29 NEW! 1126-1　NAME : 管理人　2017/04/27 08:42:05 NEW! 1126-2　NAME : くろ　2017/04/27 16:35:55 NEW! 1124-1　NAME : くろ　2017/03/31 17:07:39 NEW! 1124-2　NAME : 管理人　2017/04/01 02:47:49 NEW! 1125-1　NAME : 管理人　2017/03/15 17:32:22 NEW! 1122-1　NAME : くろ　2016/12/14 04:52:39 NEW! 1122-2　NAME : 管理人　2016/12/14 19:14:06 NEW! 1122-3　NAME : Merkatz　 2016/12/14 22:58:54 NEW! 1122-4　NAME : くろ　2016/12/17 19:07:36 NEW!